The fight against authoritarianism and fascism is growing, but more and more comrades are confronted with repression. More and more people are confronted with lawyer- and court bills. Others with huge fines. We decided to start a permanent solidarity fund to support people who are prosecuted by the state. May Day was a day of resistance, but many people were arrested. May Day was just one of these days. People resist against evictions, police violence, deportations, fascism, capitalism and many other things. The pressure on corporations and states is growing, but people are also facing growing repression. Because of this the costs of court procedures, lawyers and fines are increasing. We decided to start a permanent anti-repression fund to support people, initiatives and projects who are subject of repression. 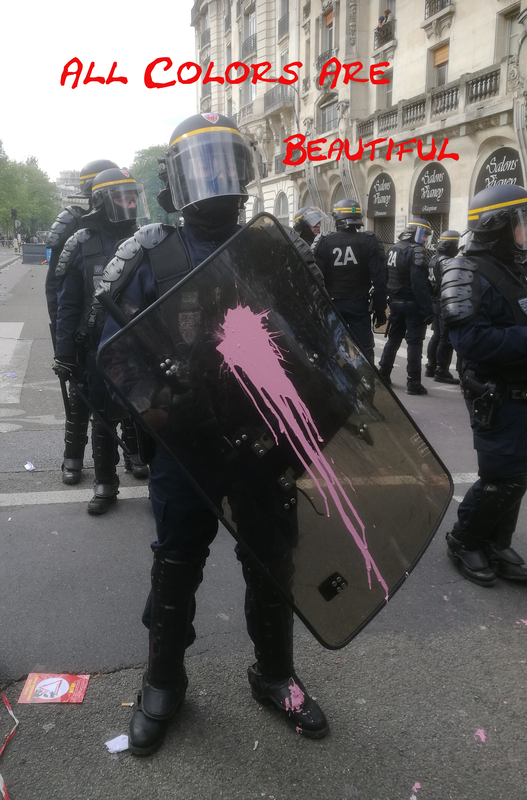 The first campaign of the Enough is Enough anti-repression fund is to start to raising money for a fine of 1500€ from the French state. After that we will raise money for people who are facing repression after May Day actions. There are states where the courts will give people higher fines when they know that the fine is paid with money from solidarity actions. For this reason we might explain afterwards where the money exactly went to. We don’t want to give any states more money than necessary. This fund is to support people, not states. If you, or your group are subject to repression you can send us a request for support from our anti-repression solidarity fund. Send us a mail to info@enoughisenough14.org (Subject: anti-repression fund). Be aware that we don’t support people, groups and initiatives with fascist, racist or sexist views. Against All Repression – Solidarity is a Weapon! Reportback: Demo in solidarity with #Afrin & #Rojava and against arms manufacturer #Rheinmetall in Düsseldorf, Germany – Enough is Enough! Nightfall: An Agitational Newspaper – Issue #11 – Enough is Enough! Autonomies: In a rebellious month of May, reflections on militant autonomy – Enough is Enough! Anarchist-designed Communication Platform – Enough is Enough! So-called #Canada #NoG7: Invitation to the Last RRAG7 Assembly – Enough is Enough! #ZAD #NDDL: Call for financial support of AntiRep!Net , its online tools and offline actions – Enough is Enough!